I call this Spring Artisan bracelet Tulips Deconstructed. 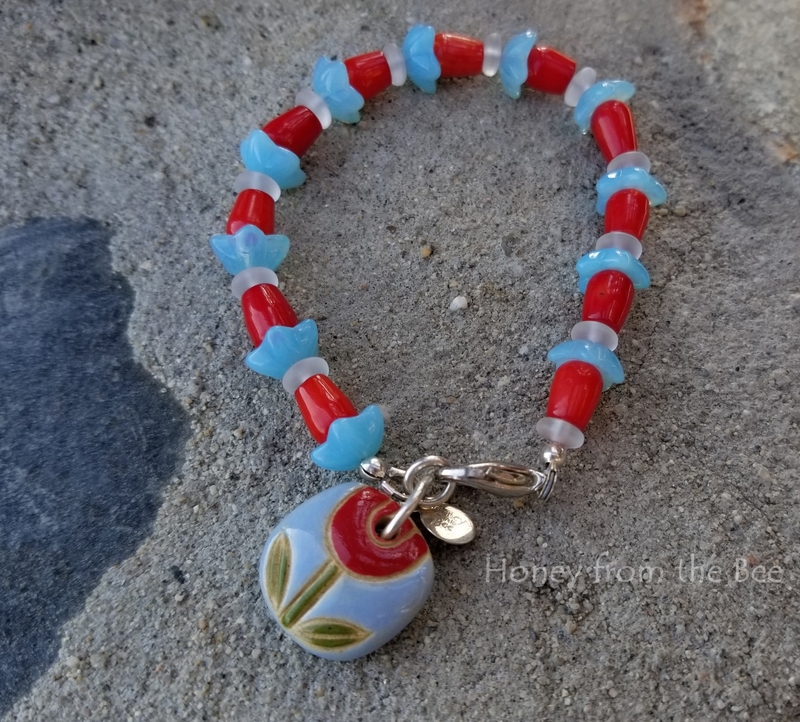 Spring bracelet featuring red tulips! 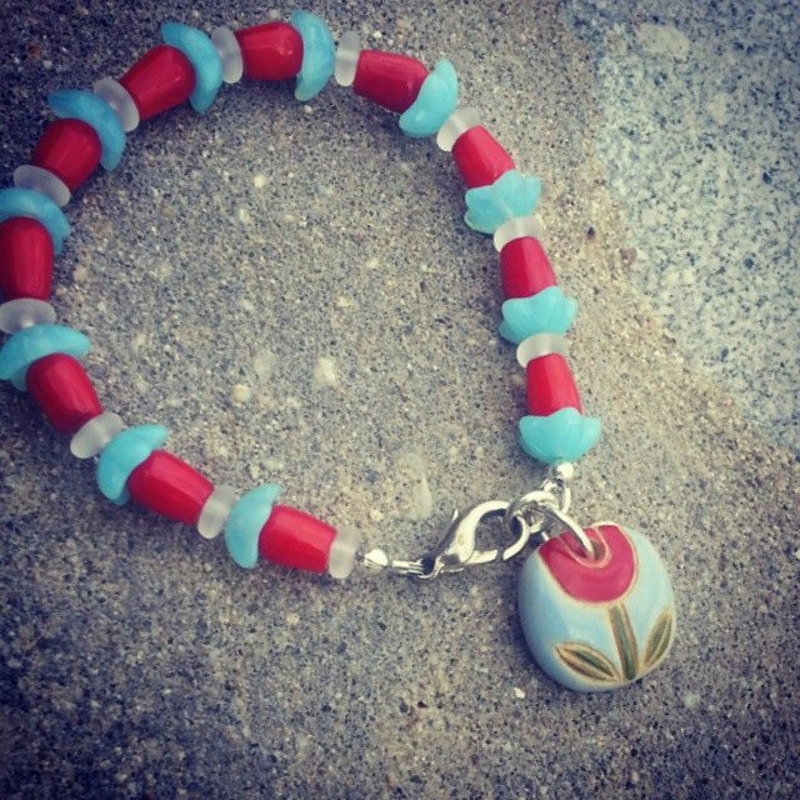 This is a happy piece of jewelry that will pick up your spirits even on the grayest of Spring days. 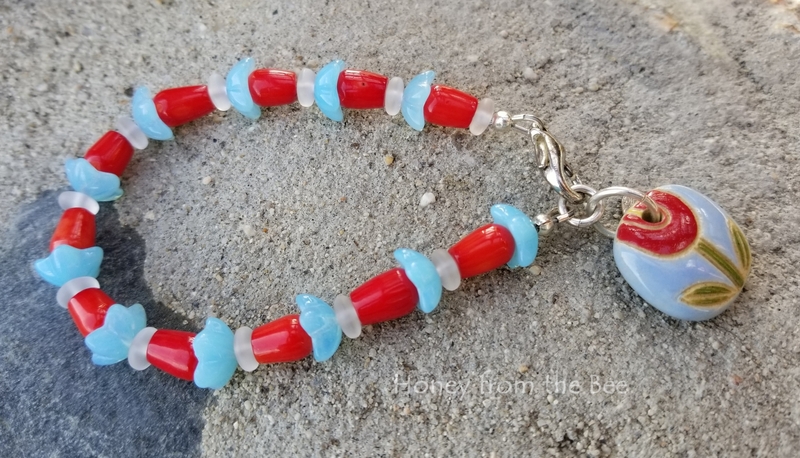 These red bamboo coral beads shaped like a tulip have been some of my all time favorites. I wish I bought more of them! 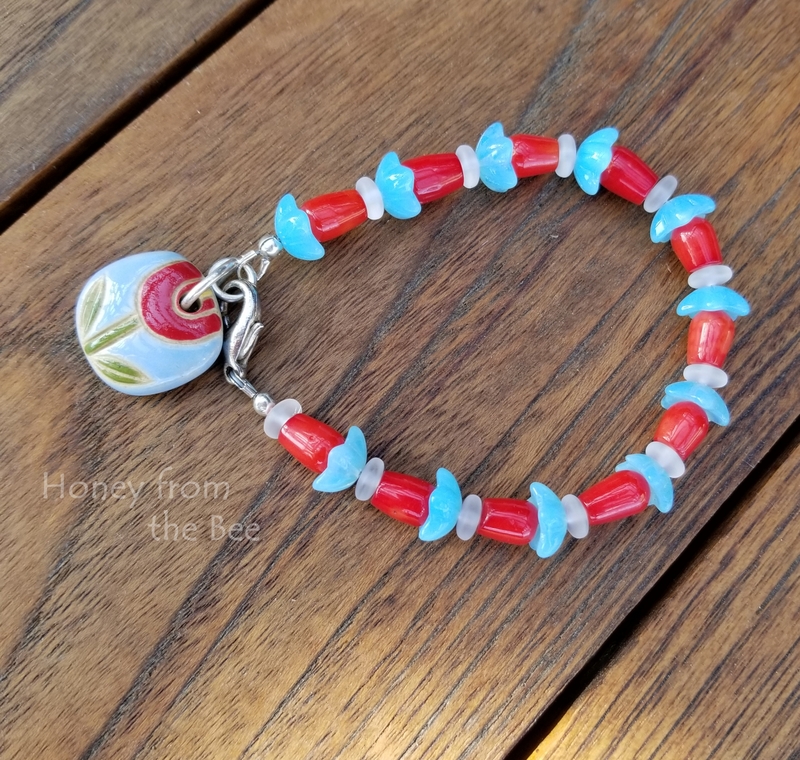 I've paired the coral beads with matte crystal rondelles and pretty pale blue flower beads to pick up the colors in the adorable ceramic charm by Golem. I've strung the beads on strong flexible cable wire. This is about 6.5-6.75 inches and closes with a lobster clasp.